Last Friday I had the chance again to go on-site and inside the Kauffman Center for the Performing Arts for further construction and progress photography. 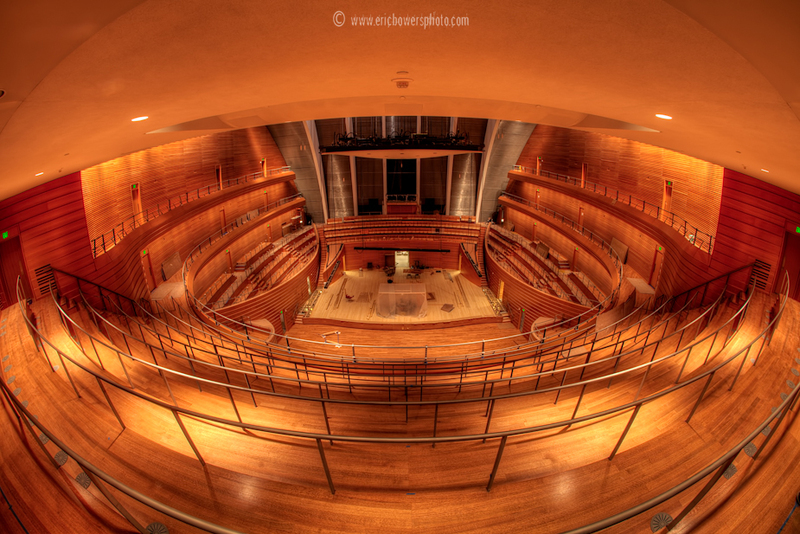 For this post I’m showing the two venues in the building, the Muriel Kauffman Theatre and Helzberg Hall. Muriel Kauffman Theatre Under Construction in January 2011. 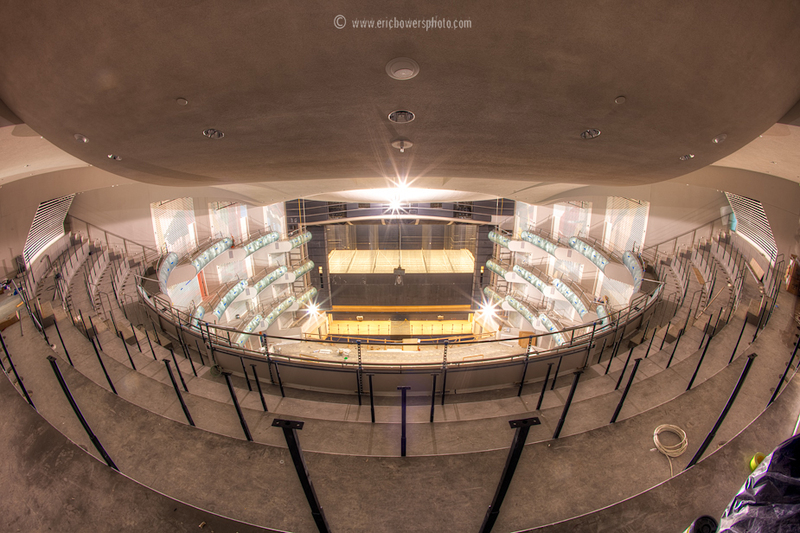 In the instance of both photos I stood as far to the top and center of the interiors as I could and used my fisheye lens (Canon EF 15 mm f/2.8 Fisheye) with my 5D Mark II DSLR. I used HDR/Tone mapping in the computer post-processing to even out the differing levels of exposure that were inherent in both scenes. Helzberg Hall Under Construction in January 2011. 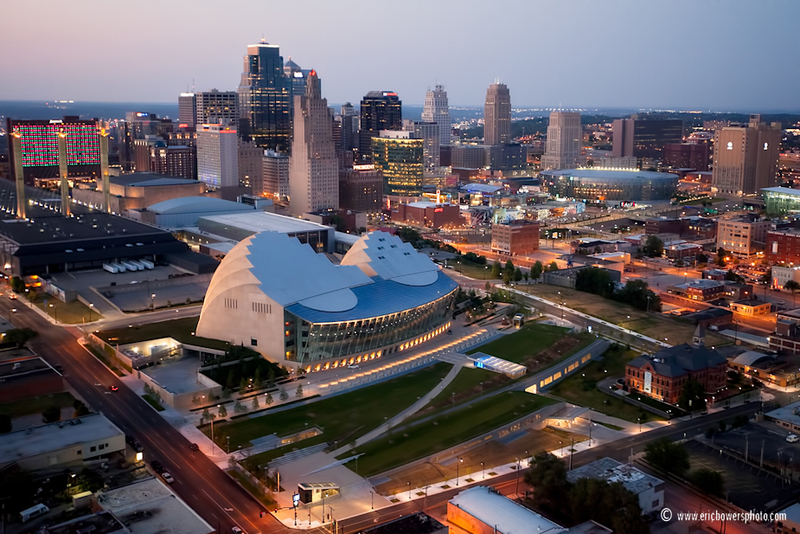 The Kauffman Center is scheduled to open this coming September. What a great gig you have w/this project. Love seeing the progress. well, as usual, fantastic shots, Eric. I can personally hardly wait until this is completed. Just beautiful… I can’t wait for a performance there! It is so exciting to have something so gorgeous added to our skyline!